If you're an outgoing person looking to draw attention to your braces, go for a red lip! For best results, choose a darker shade that compliments your skin tone. Matte lipstick can be helpful since glossy formulas are prone to get on your braces and smudge. Be sure to choose a shade of lipstick that makes your teeth look whiter. Braces can often look quite busy, so these shades of red can help your smile look more bright and clear. It's also a good idea to keep a lip balm handy. Braces can make your lips feel dry, and lip balm helps to keep them looking soft and supple. If you'd prefer to draw attention away from your braces, choose a neutral lip colour and try applying more dramatic eye makeup. Try a smokey eye or experiment with eyeshadow colours that complement the colour of your eyes. A well-shaped dramatic eyebrow look can help to draw attention away from your braces. The current trend for thicker, fuller eyebrows, makes this is easier than ever. Check out Youtube to see a number of great eyebrow tutorials to help you perfect your look. 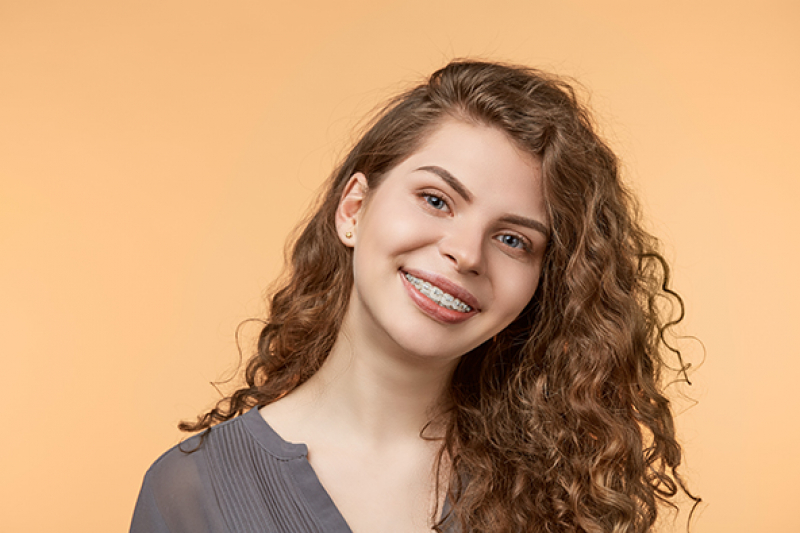 Do you have more questions about day-to-day life with braces? Please contact our Surrey orthodontists today for answers!